If you need to convert an email message or attachment to a PDF, try PDF Converter. It can easily turn any file on your iPhone or iPad into a PDF. Get it now if you haven't done so yet. Open the email you want to convert. Tap and hold on it to select the text. Drag blue markers to expand the selection area and tap Copy. 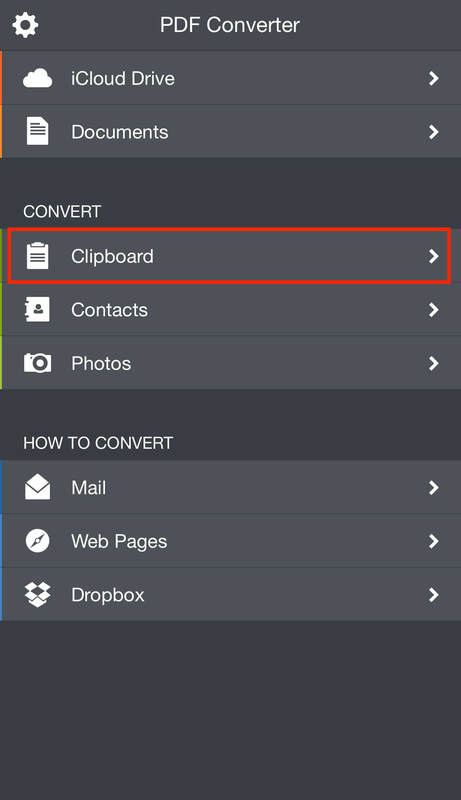 Launch PDF Converter and open the Clipboard tab. 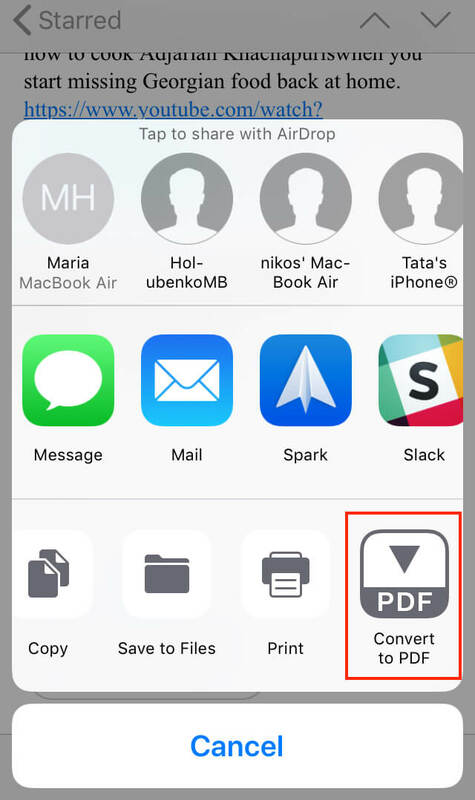 Make sure you have PDF Converter on your iPhone or iPad. Tap and hold on the attachment icon. Wait for a couple of seconds until your file is converted. 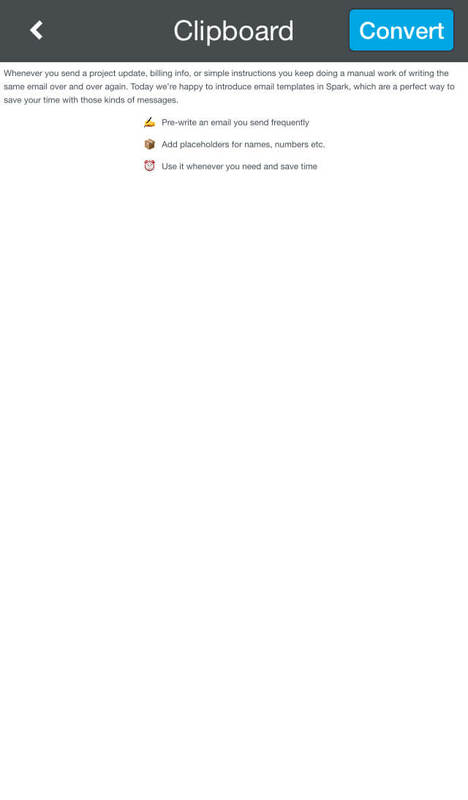 Tap Go to File to view your PDF in PDF Converter.